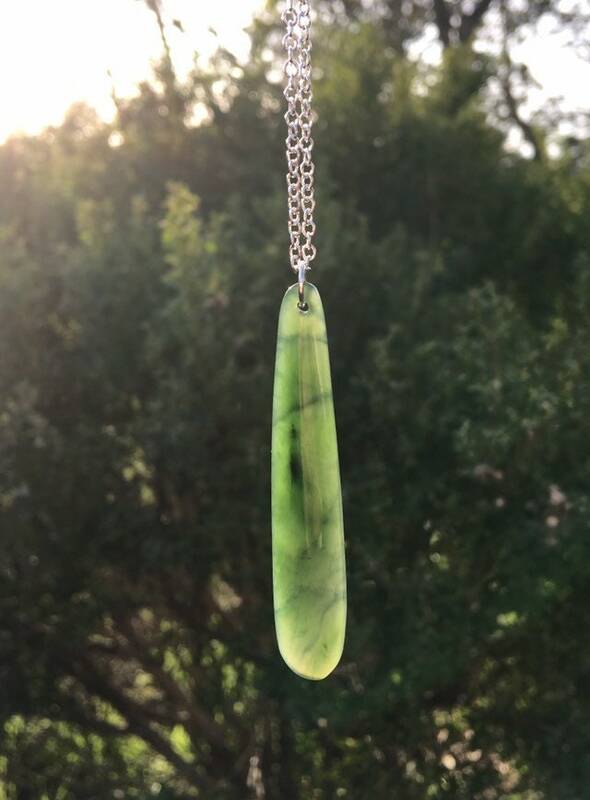 This amazing dark, apple green jade is just a stunning piece! The light shines so beautifully through the stone. 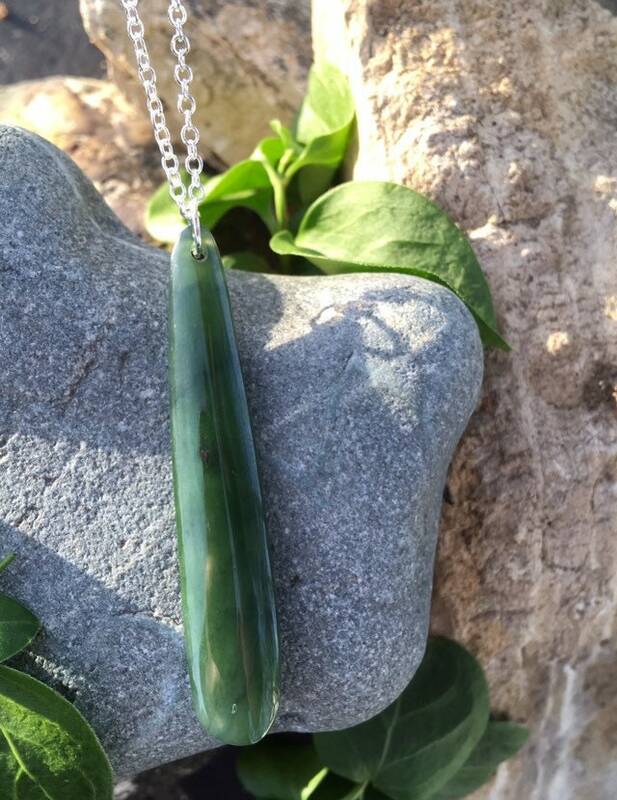 It is on a .925 sterling silver, 18" long chain. 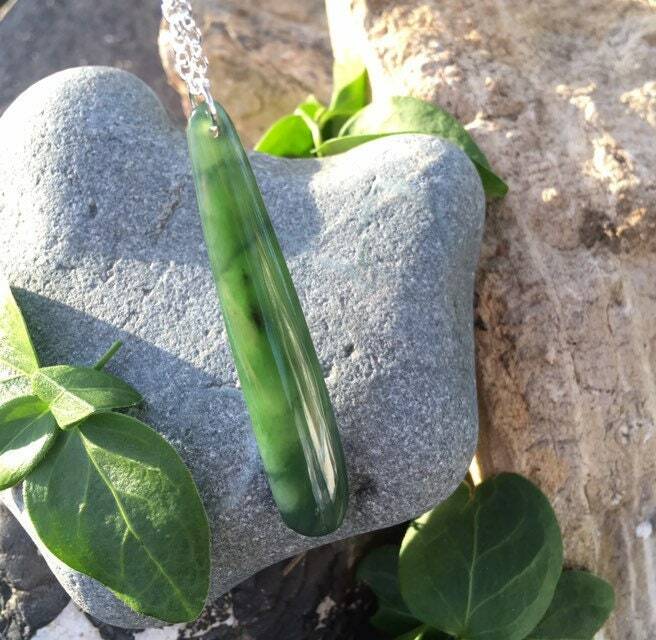 The jade piece is 2 1/4" long and 3/4" at its widest. 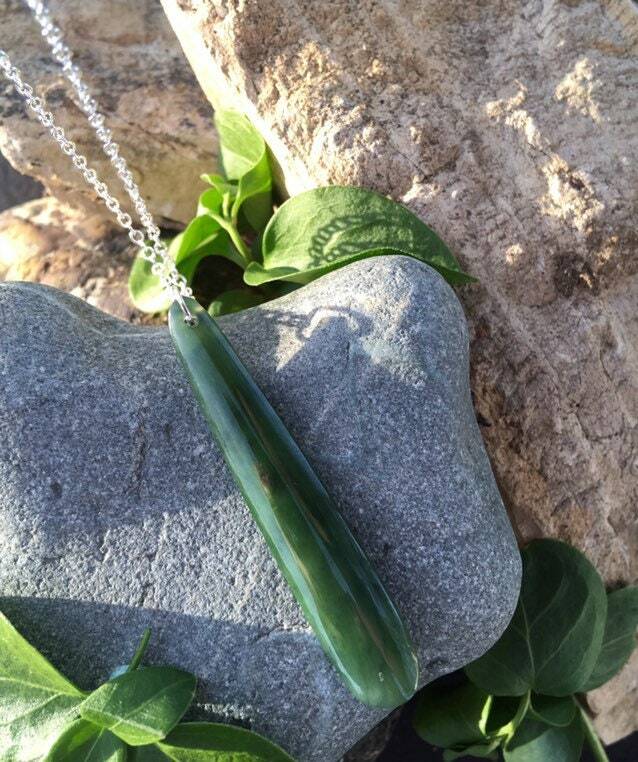 It will be wrapped in tissue paper, put in a gift box and mailed First Class in a bubble mailer.